People often fail to consider one of the most crucial components to a good night of rest: the pillow. 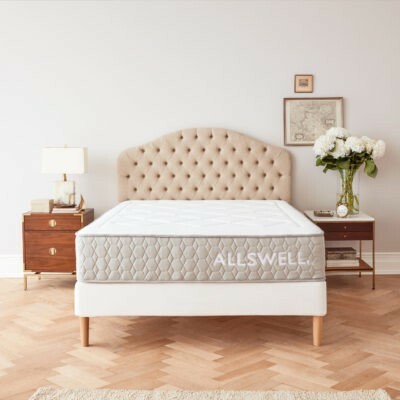 Perhaps you’ve worked tirelessly to find the perfect mattress and now you’re sure you’re on your way to endless nights of peaceful slumber. 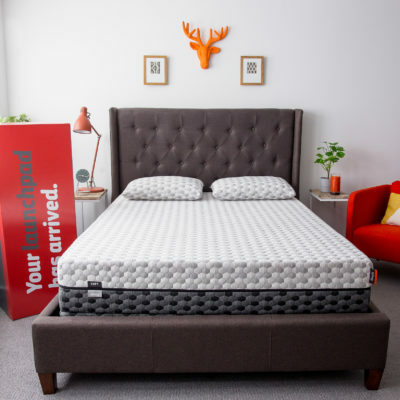 While that may be true, if you don’t have a great pillow to complement your comfy new mattress, you could be missing out on experiencing your best sleep. A pillow that matches your personal needs will make you feel like you’ve hit the sleep jackpot. 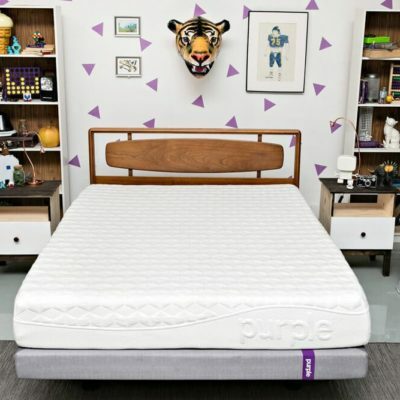 It will be comfortable and support the natural curve of your spine as you sleep. 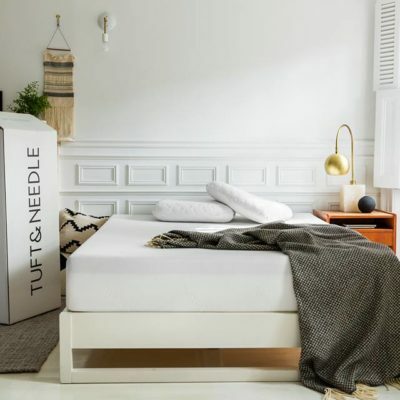 But a pillow that doesn’t support your body type or personal preferences can cause a whole host of problems—restless nights spent tossing and turning, repeated lack of sleep, and pain in your back, neck, hips, and even joints. 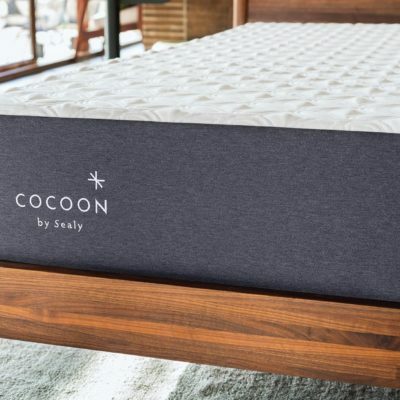 Searching for a new pillow may feel overwhelming, but it’s actually pretty simple once you realize there are only a handful of factors to consider: sleep position, filling, firmness and price. Read on as we break down the pillow selection process and suggest a few of the best pillows out there. We’ll start with sleep position, as this plays a huge role in deciding what pillow is most comfortable for you. In order to keep your neck and spine properly aligned throughout the night, certain sleep positions demand a pillow with more loft than others. Though falling asleep on your stomach may feel super cozy and comfortable, this sleeping position puts a lot of stress on your spine. If you do sleep on your stomach, you’ll want to select a soft and fairly thin pillow so that your head is not elevated sharply from the mattress. You want to avoid that extra elevation because it adds more pressure to the spine as the head is rotated to the side. What to look for: Flatter, thinner pillows are best for stomach sleepers. 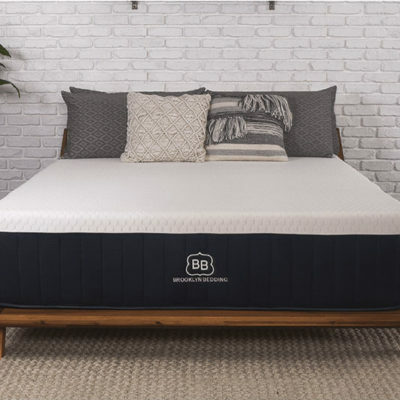 If you don’t have a great pillow to complement your comfy new mattress, you could be missing out on experiencing your best sleep. Side sleeping is the most common sleep position out there. When you sleep this way, there will naturally be a large gap between your head and the mattress. You’ll want to find a pillow that’s thick enough to keep your head and neck on a level plane so that your spine is able to remain in a neutral position for sleeping. This is important for comfort overnight and into the next day. If your neck is bent all night due to an unsupportive pillow, you can stress your muscles, tendons, and nerves, leading to pain and discomfort. What to look for: Firm and thick pillows are best for side sleepers. Contoured pillows also work well for this sleep position. For back sleepers, a pillow is important for supporting the natural curve of your cervical spine and keeping pressure from building up in the neck, shoulders and head. Similar to when sleeping on your side, if you’re sleeping on your back, you’ll want to find a pillow that’s elevated enough so that your neck and head remain aligned with your spine. 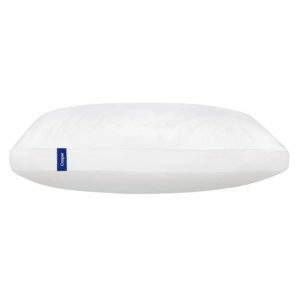 What to look for: A pillow that’s supportive, but not raised as high as a pillow designed for side sleepers. No matter what your sleep position is, you’ll want to find a pillow that provides both support and comfort. A pillow’s material makes a huge difference in your comfort and the type of support the pillow provides. Deciding on a material type really comes down to personal choice, sleep position and how the product will hold up over time. Read on to find out what type of pillow filling might be best for you. One of the best parts of feather pillows is that the lightweight filling can be moved around to fit your personal preferences. Known for their softness, some down pillows lack in support. Down pillows are particularly good for combination sleepers — those who spend part of the night lying in one position before switching to another. Memory foam pillows contour to your body shape and are beneficial for people who suffer from neck and back pain, or even an overall achy body. 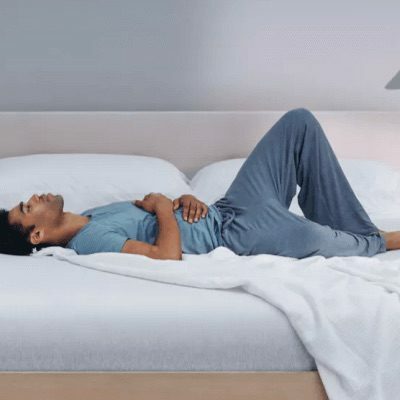 The meticulously-designed shapes of memory foam pillows are particularly supportive for the head, neck, and shoulders. Memory foam pillows tend to be firm, and some say they emit a chemical odor. Latex filled pillows are popular among allergy sufferers, as they resist dust and mold. This is also the firmest variety of pillow filling available. These can be heavy and expensive, but they are also highly durable. For many, latex filled pillow use comes down to personal preference. 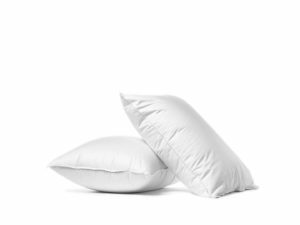 Polyester filled pillows are not typically supportive or firm, but they are very cheap and super easy to clean. Aside from cost, polyester filling doesn’t really have many benefits over other types of filling, and should really only be considered if price is your main driver. Because buckwheat hulls move around, pillows with this type of filling can easily be adjusted for shape and thickness. Pillows with buckwheat hull filling tend to be heavy, very firm, and can conform to the shape of your neck and head. They can also be a bit noisy as the buckwheat hulls move around. Cotton filled pillows are another variety popular among allergy sufferers, given their hypoallergenic properties. These are great for people looking for a firm pillow. 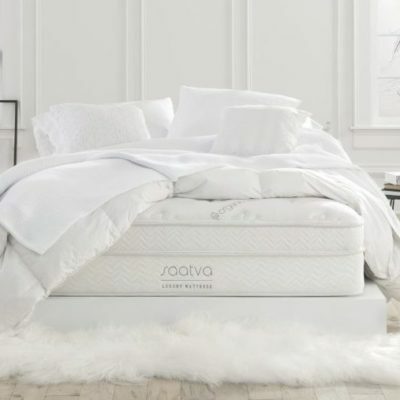 Now that you’ve learned the ins-and-outs of what to look for based on your body, sleep position and personal preferences, check out these recommendations for some of the best pillows out there that will provide comfort and restful nights without breaking the bank. 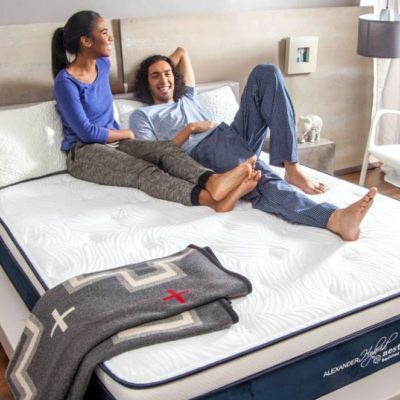 By clicking on the product links in this article, Mattress Advisor may receive a commission fee at no cost to you, the reader. Read full disclosure statement. 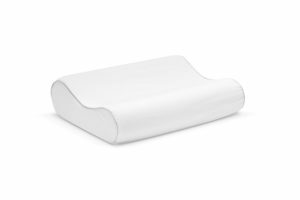 The filling can be removed on this adjustable memory foam pillow to fit any sleep type. It’s firm and full, ut manages to also remain soft and comfortable for sleeping. It’s a good option for allergy sufferers as it’s hypoallergenic, and the cover can be removed and washed. This synthetic-filled pillow was designed to work for all sleep positions. Known to be quite soft, this pillow can be bunched up to offer more height to side sleepers. It also may appeal to those who tend to sleep hot. 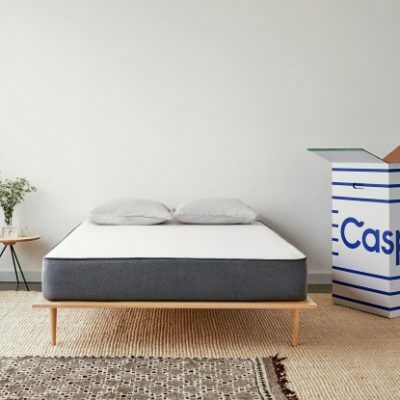 Some appreciate this pillow for the sheer simplicity of Casper’s offerings—sticking to just one pillow option eliminates a lot of the back and forth that goes into making a decision. And with Casper’s 100 night trial period, you’re able to make a return if you decide you don’t like the pillow within the first three months. 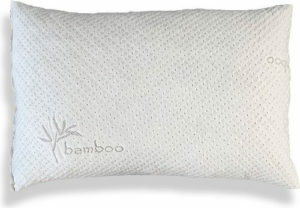 This pillow is made of sustainable and ethically repurposed natural down with a 100% sateen cotton shell. 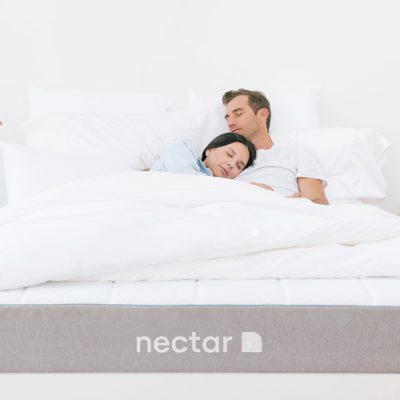 Offered in three different levels of thickness (soft, medium, & firm), you’ll probably be able to find an option that works for you no matter what position you sleep in. Parachute describes them as “light, lofty and supportive,” and users tend to agree. The soft option is recommended for stomach sleepers, medium for back sleepers, and firm for side sleepers. One of the top-rated features of this pillow is that you can adjust its firmness—fluffy, flat, or in between, the choice is yours. This feature is likely the reason this pillow gets great feedback from people across the spectrum of sleep positions. 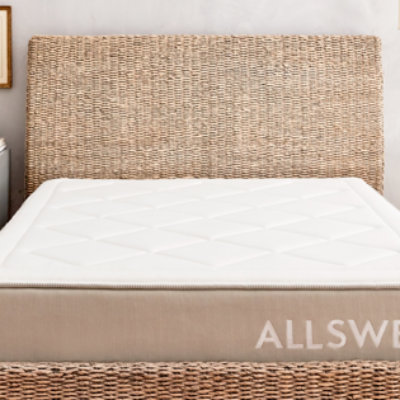 It’s hypoallergenic, so great for those with allergies and asthma, and is designed to stay cool at night. Being machine washable, this one is easy to keep clean, too. This memory foam-filled contour pillow will mold to fit the shape of your head and spine, and is a serious budget pick, selling for less than $30 for a standard pillow. Providing alignment and support, this is a great option for people who experience neck and back pain. 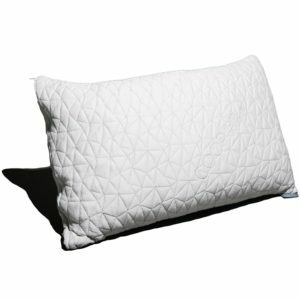 This pillow is most well-suited for back sleepers but will work for side sleepers as well. 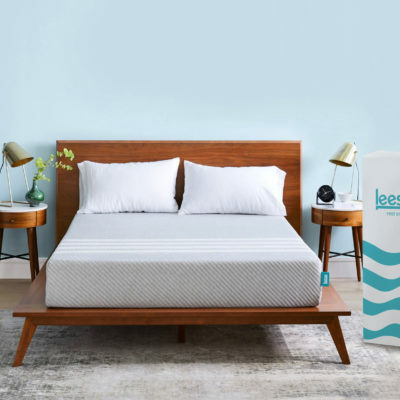 Some report an odor upon receiving the pillow, but Sleep Innovations says this should dissipate within a few days of being removed from its packaging. Once you’ve found the perfect pillow, you’ll want to make sure it lasts as long as possible, and this involves special care. Unless you have a memory foam or latex pillow, think about washing your pillow at least two times a year. You’ll also want to use a pillowcase and pillow cover that you wash weekly or biweekly. Keep it simple by tossing them in when you’re washing the rest of your linens. 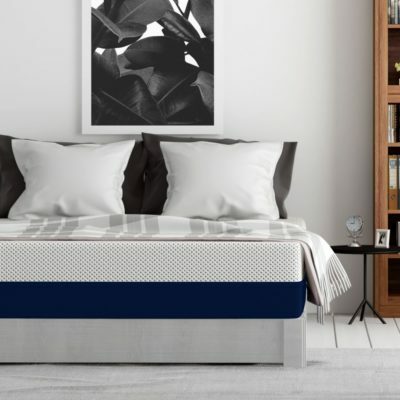 This step is important for overall cleanliness and hygiene, as well as keeping dust and fungal allergies at bay or keeping pesky bed bugs from infesting your pillow. If you’ve had your pillow for a while and start waking up with an achy body and sore back or are having trouble sleeping, it’s likely time to swap out your pillow for something new. Your pillow can last anywhere from 6 months to 3 years, depending on the quality, materials, and how well it’s cared for. Wherever you are in this arduous journey toward restful sleep, remember not to neglect your pillow. If you have any questions about finding the perfect pillow, or if you have one that you love, tell us about it in the comments below. 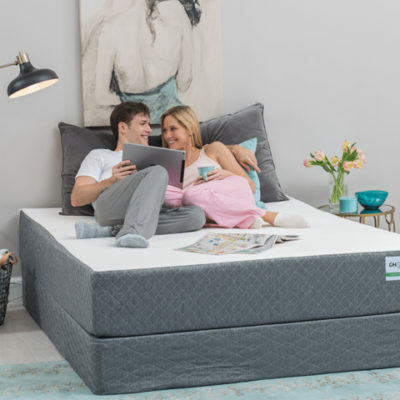 At Mattress Advisor, you’ll find comprehensive, unbiased reviews to help you find the best mattress and bedding accessories for your personal needs.